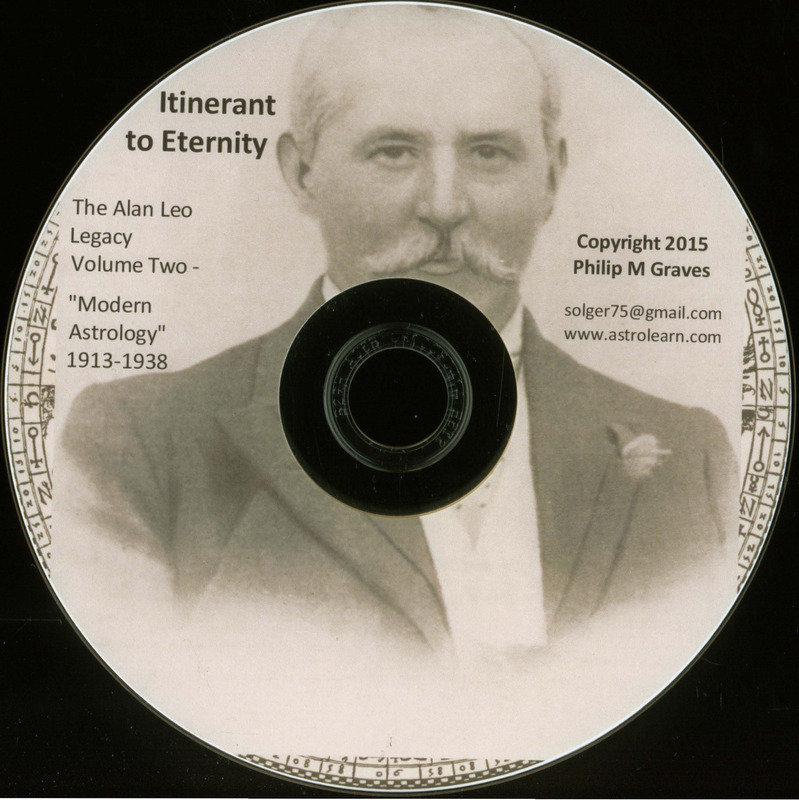 The present volume focuses on the continuation of “Modern Astrology” magazine from 1913 onwards, to and beyond the time of Alan Leo’s death in late 1917. In fact, it contains all issues published from 1913 to October 1938. Three miscellaneous issues from 1939 and 1940 are appended. The last few years of the magazine have proven difficult to source, and in response to urgent demand we decided to go to press with the material we have accumulated to date. It is hoped, however, that over the coming years or possibly decades we shall eventually manage to source the last few years of original issues and complete the digital archival job on this magazine by way of the issue of a supplement. 1 miscellaneous bimonthly issue of “Modern Astrology” from 1940 (March-April). 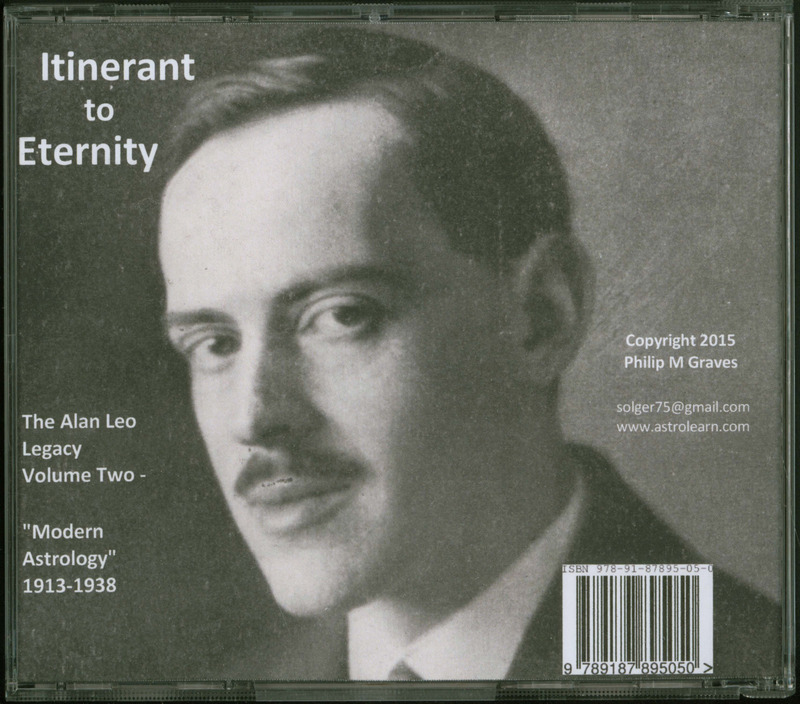 Thus, in all, the DVD contains 275 successive and 3 non-successive issues of “Modern Astrology” magazine, the astrological journal founded by Alan Leo and continued after his death by Bessie Leo, Major A. G. M. Adam, Vivian Robson, Maurice Wemyss and others. It is Graves’ hope that these 278 publications collectively will make for fascinating historical source material for historians of astrology, science and society, as well as for astrologers themselves. 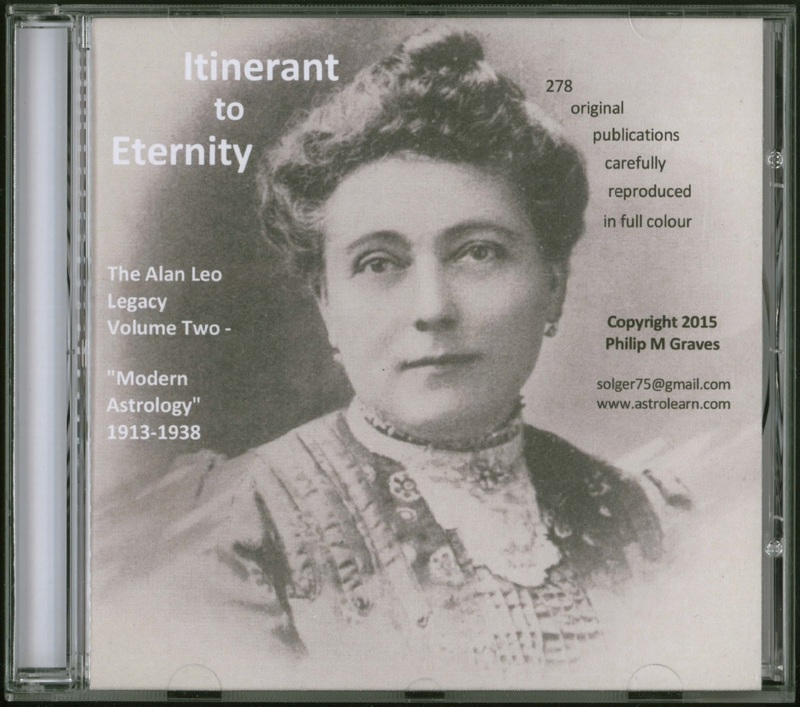 A third and final DVD in the Alan Leo Legacy series is in the advanced states of preparation but awaiting certain copyright clearances before going to press. It will contain at the very least Alan Leo’s books and pamphlets, as well as those of his wife Bessie Leo, and most others published by Modern Astrology Office. It is known to be lacking only one leaf comprising the final page of letters to the editor in the April 1914 issue.